The word yoga takes us back to the ancient times and brings to mind a plethora of images of extraordinary postures that seem impossible to attempt, let alone master. Yoga is much more than mastering the various postures or increasing your flexibility. It is an ancient practice that involves various physical stances as well as several mental and breathing exercises that cleanse our mind, body and soul. This Book aims at enlightening you and takes you into the wonderful yet mysterious world of yoga and in particular Raja yoga. 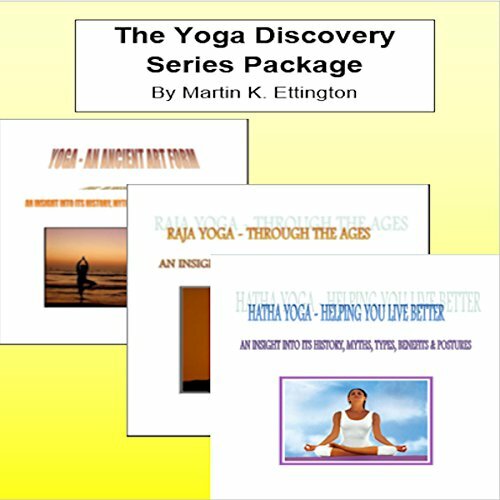 This audiobook helps you understand Raja yoga better and provides the basics that can help you get started. The origins, the concept, the ultimate goal and the various benefits of practicing such an ancient art form are still unknown to many. Beyond the assumption that it started in India, the knowledge about yoga takes a dip into the unknown. There are a lot of intricacies that need to be understood to really reap the true benefits of this ancient art form. This book aims at enlightening you and takes you into the wonderful yet mysterious world of yoga and in particular Hatha yoga. This audiobook helps you understand Hath yoga better and details the basics that can help you get started.